Barry Butler and Ajax will be at John Plunkett Interiors on Saturday 12/22 from 10am-12noon. 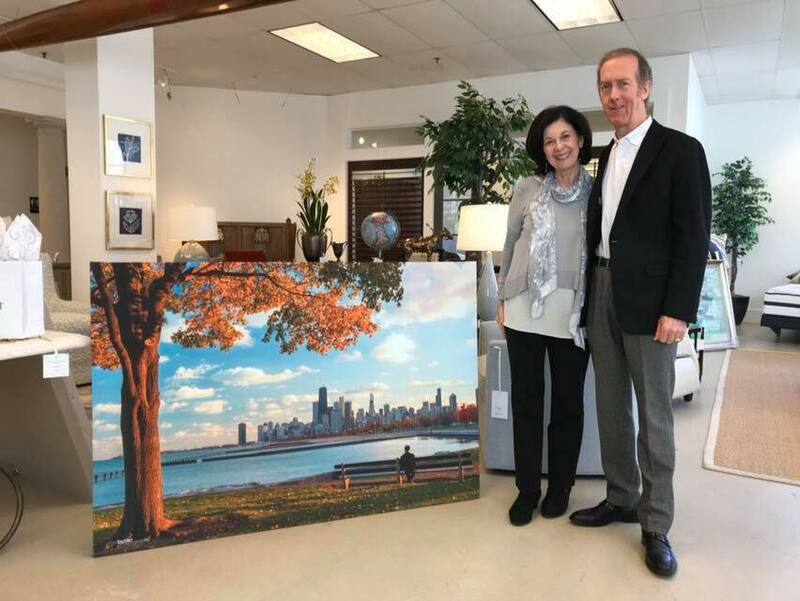 Barry will have copies of his 2019 Chicago Calendar for sale along with prints. The first 20 people to arrive will receive a 5x7 print. Sign-up for a Large Print giveaway…for those who attend between 10am-12noon. While you’re there, be sure to see the wonderful home decor options that John Plunkett Interiors offers. John Plunkett Interiors is in the Plaza Del Lago shopping mall so you’ll be able to continue your holiday shopping. Barry will be there from 9am-3pm with his 2019 Chicago Calendar along with select prints for sale. Barry will feature photographic images from Chicago and Ireland. This will be Barry's largest exhibition to date. Tickets for Irish Fest are available on the Irish American Heritage Center website. Chicago landscape photographer Barry Butler along with his dog Ajax will be at John Plunkett Interiors in Wilimette at the Plaza Del Lago Shopping Center on December 10th from 12noon-3pm. Barry will have many of his Chicago works on display to see and also to purchase. Champagne will be served. The first 50 People to attend will receive a 5x7 Chicago print. For more info, please contact John Plunkett Interiors at 847-906-1000. Barry Butler Photography is participating in an event called "HeART of Chicago" - Friday August 11th from 5pm-11pm. Here's an opportunity to meet Barry and see a selection of his works in person on Friday, August 11th from 5pm-11pm at the Spencer Rogers Gallery, 735 S Clark in Chicago. He'll be there with other Chicago artists. A jazz band will be playing as well. The first 50 people to meet Barry and say they follow him on Facebook will receive a free 5x7 Chicago print. See you there for a fun evening.